A tail-wagging, whimsical way to show how much you love all of the puppies. 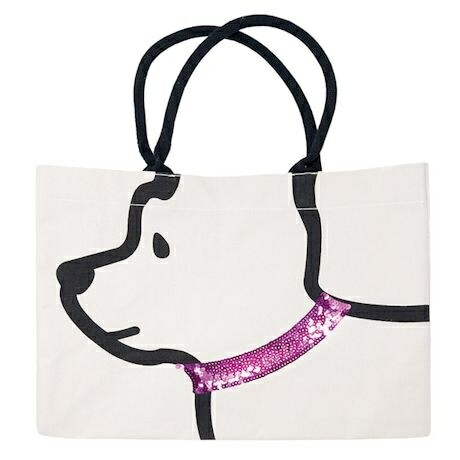 A quirky dog face is printed on the side of a tough-sewn tote; the perked-up ears are created by the bag's perfectly coordinating handles. Generously sized; one stash pocket inside. Accordion-fold allow for roomy storage. Spot clean. Rugged cotton with sequin collar on one side. Imported. 18" x 6" 14".